The crew at Commencal Bikes recently headed to Luica for their off season training camp. Join tean riders Reece Wilson, Bruce Klein and Thomas Estaque as they head over to Luica to get their bikes and bodies ready for the upcoming season. 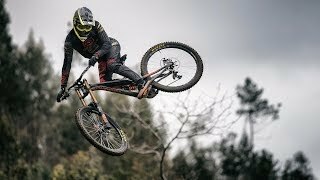 Raw downhill bike sound and big berm smashing make this an excellent way to kick off your Monday!